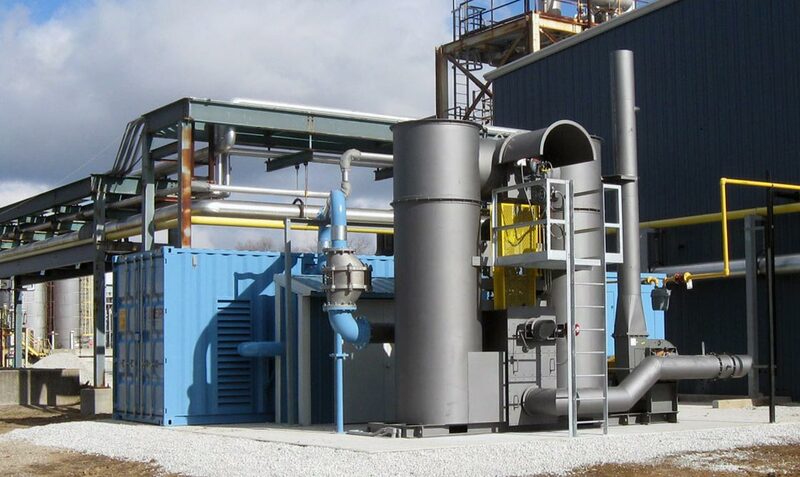 2300 ACFM Vacuum System with Bio-Sparging and Regenerative Thermal Oxidizer - pdblowers, Inc. 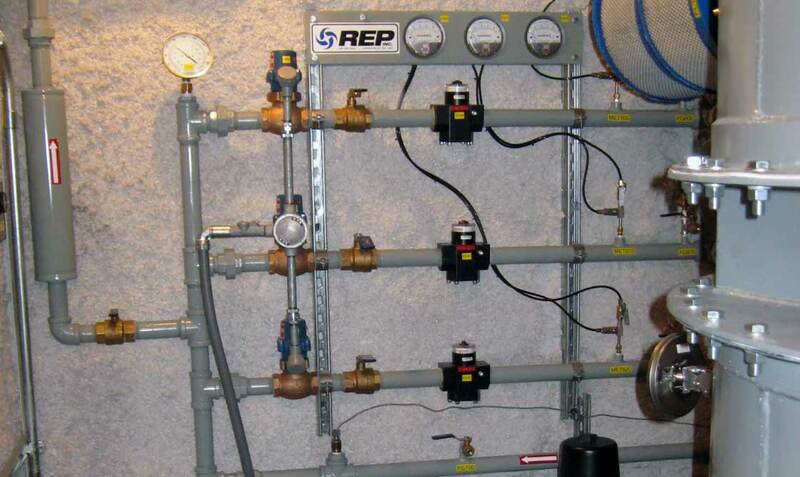 This system was installed at a chemical facility in Ohio. 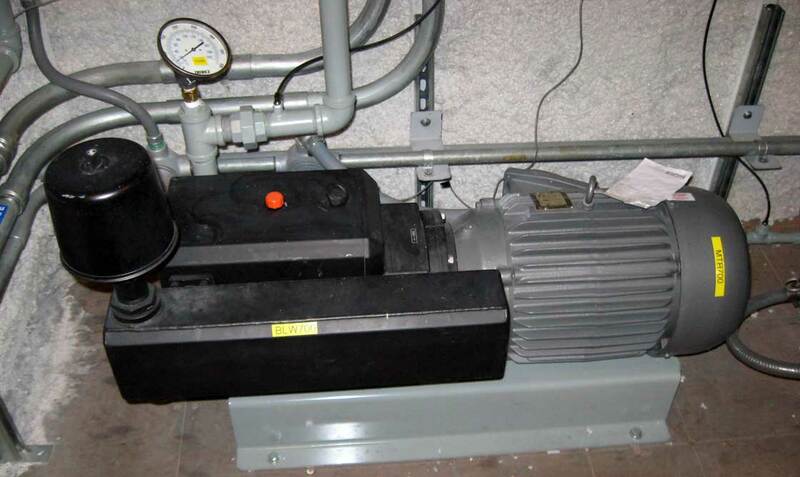 Noise control was an important factor as well as the ability to maintain the equipment. The enclosure for the vacuum system, bio-sparge system and controls was a custom modified ISO container. 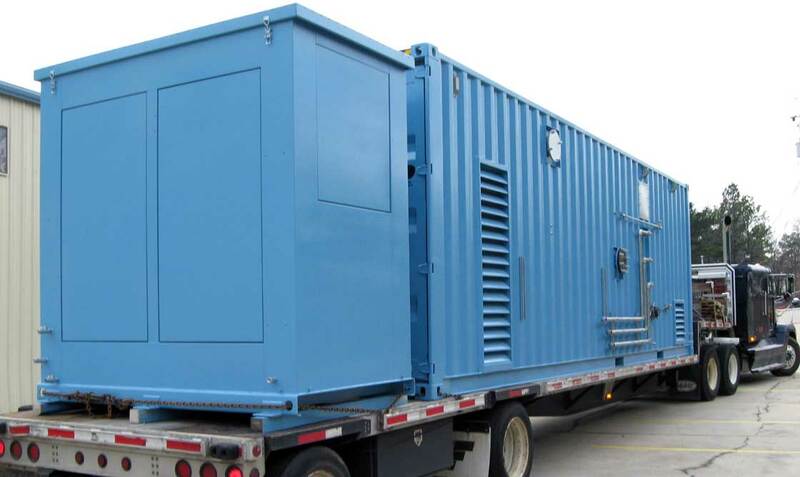 Due to limited space at the job site, our customer wanted to limit the overall length of the enclosure to 30′. We took a standard high cube 40′ long ISO container and cut-off 10′ and fabricated a new end with a 36″ access door. The enclosure featured a dividing barrier which sealed the process area from the control and power distribution area. This barrier was welded and sealed with a fire rated caulk. The process area is considered to be Class 1 Division 2 Group D while the control area is non-classified. Each compartment in the enclosure is provided with its own heating and ventilation system which are controlled via thermostats. 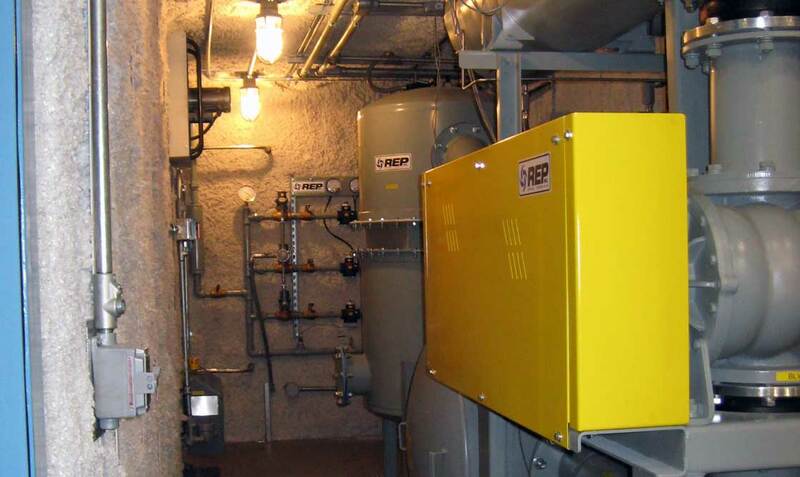 The enclosure utilizes a sprayed on acoustic/thermal barrier to reduce the noise level of the equipment as well as provide insulation.